anyone sold coutinho on their save? how much did you get for him? I'll be selling him now. 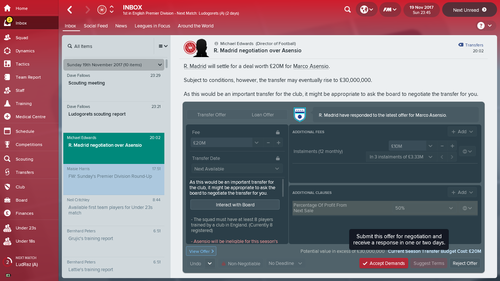 I can't use a player who doesn't want to play for my team irl in my save. Finally got around to starting my save up, I spent most of the window bringing in new staff because a lot of the ones currently at the club arent every good. Besides this transfer were carried out, both in and out. It's nice to see Zenit taking two of our **** keepers for £26m when everything is paid, which has pretty much covered the price I paid for Sergio Rico, although this wasn't my intention but just how things played out. 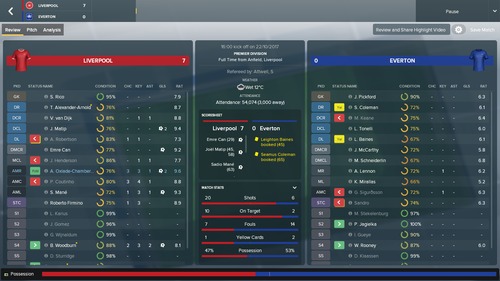 Since starting my save Coutinho has been sold like we all know, personally I wont be selling him until next season in my game, the only other way is if I manually add another manager so I get the same £142m Liverpool got in real life. 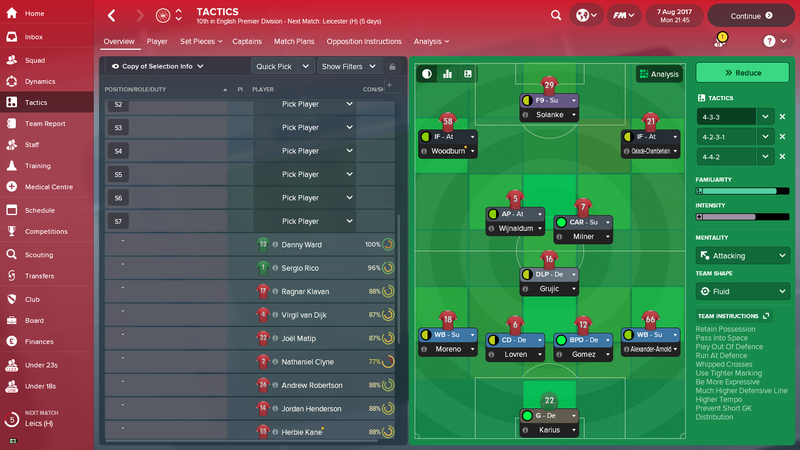 My main formation will be a 4-3-3, with a 4-2-3-1 when I'm chasing a goal. My first and second choice teams will be posted below. I've gone with Solanke with the striker for my second strong 11, because of how injury prone Sturridge is, if he could stay fit then he would be the striker for my second choice 11 this season. 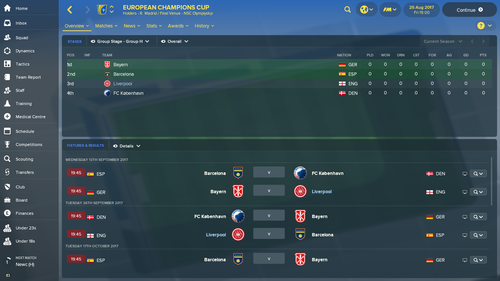 I had a similar group to that in my first season, i got through and won the champions league. 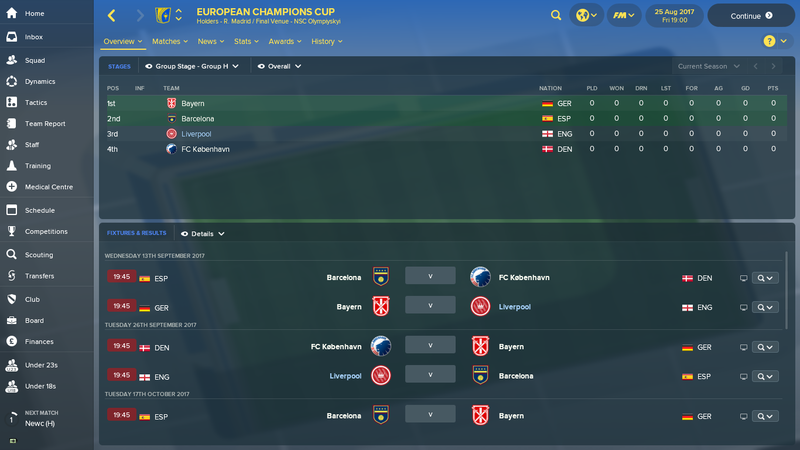 I had Atletico, Monaco and RBL. Good luck with that group though. i'll be doing the same. will add in the transfer of VVD and Phil before i get going on a save. havent started a proper save yet. just a few 2-3 week ones to test out transfers and formations. Might give The Reds a go since they have some top quality youngsters. 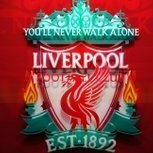 Will build a squad around Woodburn,Gomez and Trent Arnold. Btw The Van Dijk and Coutinho transfers are arranged,both will join/go in the middle of the season. 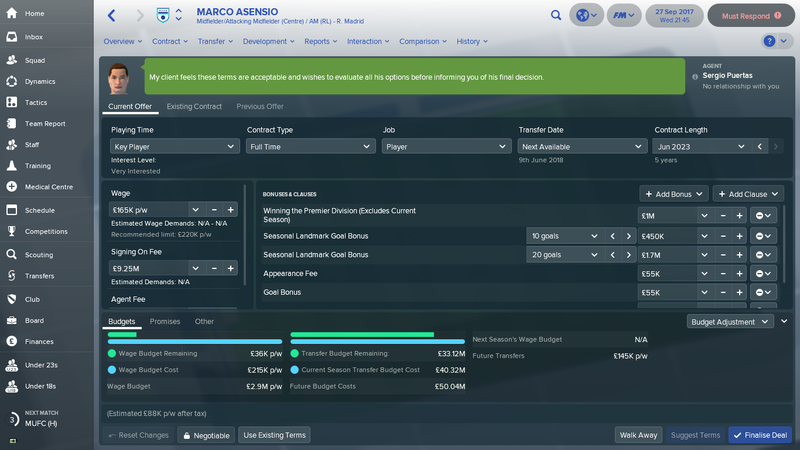 Madrid have put Asensio up for sale, definitely going to see if I can make a structured deal for him. Does anyone else get rid of Mane as soon as they can? He is a reasonable player, but I use IF not wingers, and as a IF Salah on the right and Coutinho on the left is so much better. So I sold him. Ox and Woodburn are my backups for those positions. I keep him. I play him as IF on the left and so far he has been banging them in, rejected some big bids for him. I must admit looking at him overall I thought the same and that I'd let him go if big bids came my way but he is just playing too well at present!! Hopefully he keeps it up. I have the Mezzala set to 'run wide with ball' to make him act kind of like Chambo has been. DLP and DM both set to dribble less. Trying to think if there's anything else I should be adding or changing. Hate this game at times, made all 3 subs early, had 3 injuries in next 10 minutes, so was 3 short on field, lol. Lost Coutinho (4mths), Dolberg(8mths), Ox(2mths) in the one game!! Still have Lallana and Clyne out too. with Matip not injured, but down to 20% condition for some reason, must of had a bender last night. Just lost Milner for 5 weeks now too. Haven't posted an update in a little bit, so for anyone interested, here it goes. Things couldn't be any better. I'm nearing the end of March in my 2nd season. There is 8 PL games left to play. We are in first with 77 points, 10 points clear of 2nd place Man U. We've scored the most goals and conceded the least. We've already clinched a CL spot but obviously winning the title is the main goal and it looks near certain that we will. We've only lost one game all year! 24-5-1 to be exact. During the most recent January window I sold Salah to Madrid and in turn bought Isco from them, who was transfer listed. He's been very good in the AMC spot, taking the spot from Firmino, who hasn't had the best of seasons. I won't run down how every single player is doing but as a club in total, everyone is excelling. Coutinho has already broken the PL record for assists with 8 games to go. He has 21 goals and 24 assists total (18 goals and 19 assists in league play). Bayern is making a huge push for him for the upcoming summer. I'm aiming to keep him for as long as possible (unlike in real life ). Belotti is the new monster of the league. His first season with us as been absolutely unreal. He has 47 goals, 31 of which are league goals! His 31 league goals lead the league with 2nd place having 19 goals!!! He's also chipped in with a cool 11 assists. I don't know if it's him, the formation, or whatever, but he almost makes the game too easy. 47 goals in 41 games played is insane. It's not often you can call a $58 million player a steal, but he is. My midfield is stacked. Henderson, Can, Keita, Isco, Goretzka, Savic, Milner, and Wijnaldum. Milner's contract ends this year and I'm looking to sell Wijnaldum because he's getting no playing time due to everyone else being better. And Can will most likely leave this summer too as PSG has publicly made him their top target. On defense, de Ligt (still only 19 years old!) is still labeled a "wonderkid" due to his age, but he's a world class defender. After making the World Best XI starting team he's continued to be a rock next to Matip. And I've gotten 6 goals from him, all from set piece headers. I gave Clyne and Tierney new contracts to be my fullbacks. Both are playing amazingly. Tierney gets hurt a little too much for my liking but I'll take it. 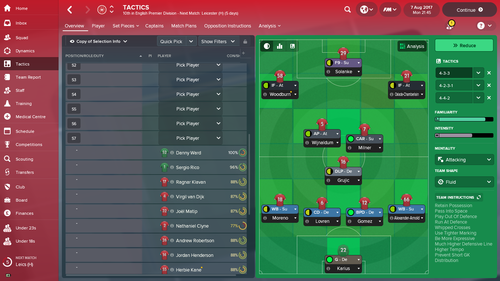 In goal I've slowly moved over the course of the season to giving the starting job to Rajkovic rather then Mignolet. Both have been playing well enough that I don't feel the need to buy a new GK anymore. This is long enough so I'll leave it here. Going to finish out the PL, continue the run in the CL and FA Cup, and I'll let you all know how it goes! 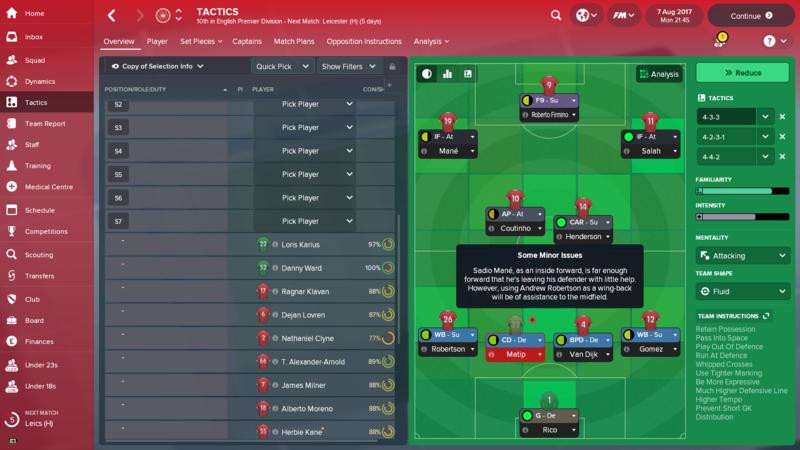 I don't suppose you could share a screen of your tactic? 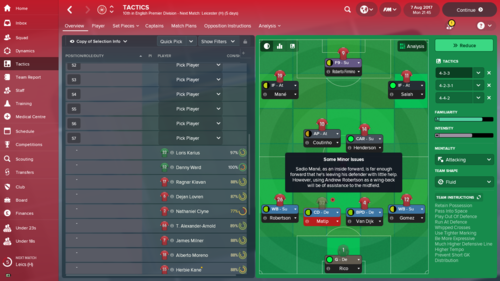 If you go back in this thread to the first couple pages I listed out my entire tactic and everything. I'll try to grab a SS next time I play for you. This happens nearly every year too. I cannot sell players, I decided to sell Coutinho, knowing I would not get his real life price, but happy with hopefully 80-90mil if I can convince a team to pay that. 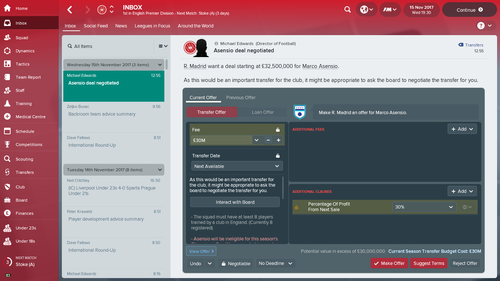 I got offer 32mil max..
Reading all of my updates it sounds like the PL just sucked this year and we were the only good team but that's not true. In the Europa League, three PL teams made it to the semis. We just played so much better then everyone else. Anyways, looking forward to facing Juve and praying that Leverkusen can somehow beat Atletico Madrid. I'll provide some screenshots when everything is all said and done. 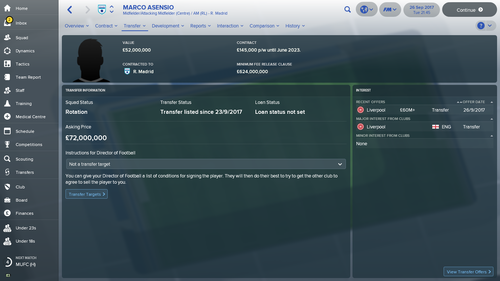 Are you transfer listing when offering him out? because that significantly lowers his price. I'm getting offers around £80-100M for Coutinho. Just entering the winter transfer window in my first season, top of the league. In the Euros I got handed a group that included Real Madrid and Dortmund but came out 1st including trashing Madrid! Happy with all my team and only want to buy a world class striker either in the winter window or wait until summer. Does Alexis Sanchez renewal his Arsenal contract in your saves or could I wait until summer and get him on a free? His is my main target, otherwise I may go for Vardy for his pace and he’s English. Stand our player is surprisingly the OX who seems to score in nearly every game I play him. Henderson and Can have formed a great partnership in the CMs also. Sanchez doesn't renew his contract at Arsenal and he will come to Liverpool. BUT when I tried he wanted 300k per week and the agent and signing on fees were ridiculous. After some hard thinking I decided he was not worth it. May have done if he were younger. As it happens Woodburn on my save has developed into a goal machine and Brewster is also coming along very nicely indeed so I feel I made the right decision in rejecting Sanchez. I did sign Asensio from Madrid though. Arsenal (being the mugs they are) just paid me 60m for a 31yo Lallana and 40m for my back up GK Karius!!!!! I bit their hands off. I now need another back up GK and Joe Hart is available on a free for 30k per week which is not a bad deal as he is happy to be back up. Also toying with the idea of selling Strurridge and spending some BIG money on Dybala. Just tried to renew Alexander-Arnold’s contract. He wants 150k per week!! 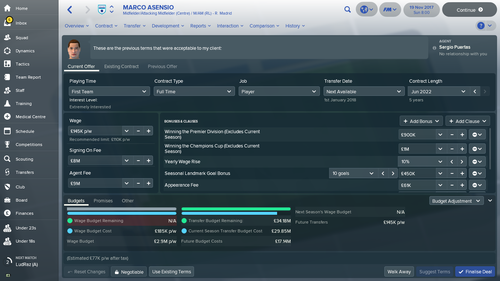 He is still only 20 and while developing well, that wage demand is a bit excessive in my eyes? IMO, this is one of the biggest problems with FM18, when a player plays consistently every game and becomes a valuable first team player they have ridiculous contract demands, I've seen some players ask for twice, thrice or even 5 times their current wage for 2 seasons worth of 7.3 avg performances. Very annoying. I would give Arnold whatever he wants as was an awesome player for me on a consistent basis for 5-6 seasons I managed him, his value skyrockets as well. Give him what he wants. I'm in season 4 and he's best RB in game.. Scored 6 goals this season as well.. I gave Emre Can 100k at beginning of season. November and he wants 200k. Games a joke. Refused contract now all squad against me. Rubbish. I sell Can at start of every save. usually Bayen or PSG offers me great money. 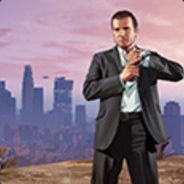 I play with USD, so dont know Pound equivelant but I get around 45-50Mil in cash. Flanagan as well goes out Southampton offers me the best cash 25.5M in US Dollars. Markovic also goes for 17M in cash to Hull or Leicester. Bogdan also goes for around his value, when he recovers from injury. Then I buy Eric Dier he costs a lot, but so versatile! I can play him defender or DM rotating with Hendo. He costs me 85M in US dollars. then there is this guy transfer listed every save from Barcelona at start, Andre Gomes a Portuguse midfield player who can almost play anyhwere in midfield and young. he costs around 10M. a bit high on wages though bu worth it, almost feels like a steal. anyway now that Coutinho is gone, I cant bring myself to play the game again when he is on the squad list, waiting for transfer update. As other have already said, Sanchez will indeed come to Liverpool. 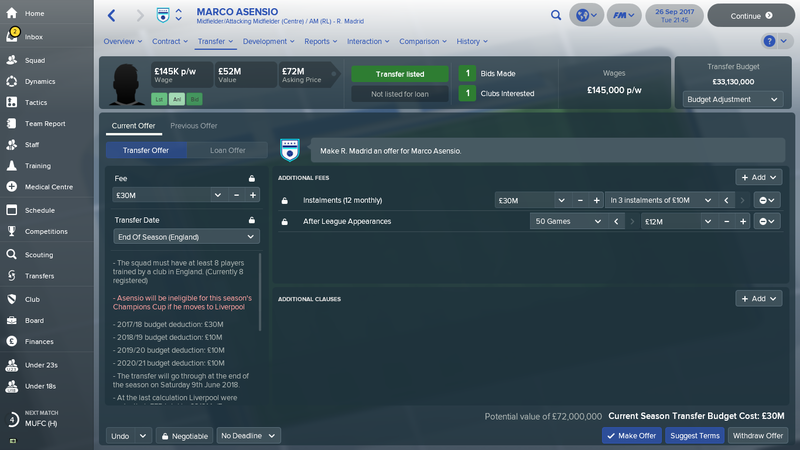 The problem is (at least in my save) he wanted the highest wages of anyone at my club. I forget the exact amount but it was like $13.5 million a year. Instead I brought in Goretzka on a free, who asks for half that much in wages. 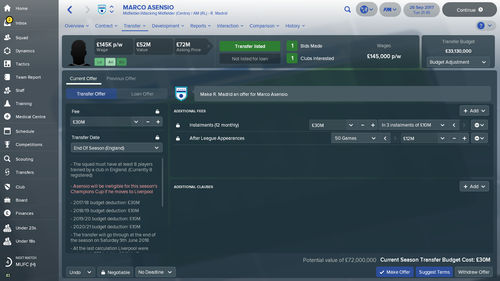 Sanchez went to Man City in my save and makes $17.5 million a year. Goretzka makes $6.8 million a year and has played better then Sanchez has for Man City. As for a striker, I signed Andrea Belotti. If you go back and read my posts in this thread you'll see how amazing he's doing for me. Right now I'm in the first week of May in my 2nd season and Belotti has 53 goals (34 league goals) and he missed two weeks due to injury. The guy is a freaking goal machine. He cost me $58 million from Torino, but he is worth every single last penny. Pay the man. Even if you don't plan on using him you can loan him out and his value goes through the roof. hehe, He is already worth 50m aparrently. I just have a hard time giving him 150k when other players like firmino, Henderson, Savic, De vrij etc arent asking that much, and they are worth more and more established!! Actually I'll have a look at his agent as this may be the issue as I have pissed a few of them off recently. Now I'm debating wether to buy a new GK (mings has been pretty good and I just sold Karius to Arsenal for 40m and brought Joe Hart in as back up on a free and much less wages than Karius), tempted to splash the cash on Donnaruma.